The third generation Vectra was offered new from 2002 until it was replaced in 2008 by the Insignia. The third generation Vectra was offered new from 2002 until it was replaced in 2008 by the Insignia. Competing in the family car marketplace key rivals include Ford’s Mondeo, Toyota’s Avensis and the Volkswagen Passat. Value, reliability and decent equipment levels have always been a Vectra mainstay, ensuring it was competitive in such a busy, cutthroat marketplace. Those values remain on used examples, with sensible economy and tax rates also appealing. In its six-year lifecycle this third generation Vectra was offered in the usual three body styles for cars in the family marketplace. The four-door saloon is popular here in Ireland, though the hatchback offers greater practicality if you can search one out in the classifieds. The estate featured a longer platform, making it a hugely accommodating luggage hauler; if you need an inexpensive, capacious estate you could do a lot worse. 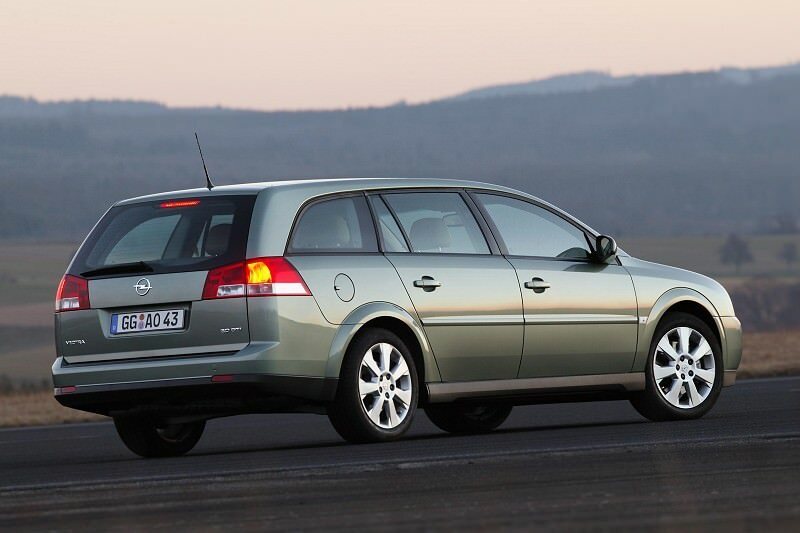 Opel also briefly offered the Signum, a Vectra-based hatchback with plenty of rear legroom aimed at an executive marketplace - it failed miserably. Following the usual Opel trim lines the Vectra was offered in Life, Club, Design, Exclusiv and Elite, as well as more sporting SRi specification. There’s an OPC version too, if you can find or afford one. All come reasonably equipped, so it's difficult to find a Vectra that’s not got air conditioning and alloy wheels fitted. Engine choice was extensive throughout its life, but the best are typically diesels, which combine good performance with budget friendly consumption. Facelifted in 2005, later cars are obvious due to their different headlamps and enhanced standard equipment. There are plenty of 1.6-litre petrol models around, but the 1.9 CDTi is equally common and more economical. We’d have the latter, for its ability to stretch stops between the pumps further, and it's available in 100-, 120- or 150hp outputs. With increasing age higher specs are more affordable, so look out an Exclusiv model if you can, though even the Life and Club versions have decent equipment levels. Not a particularly exciting choice in the family car buying marketplace, but ample availability, good equipment levels and decent economy from the diesel engined version in particular does make it a sensible one. If you’re on a budget and need something for your family you could do a lot worse.